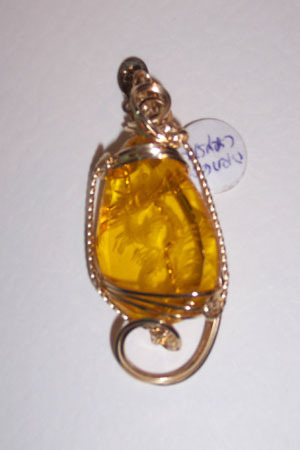 Faceted topaz colored glass pendant with dragon etching. Unusual piece for your collection. Sculpted in 14kt rolled gold. Measures 2"x.75".